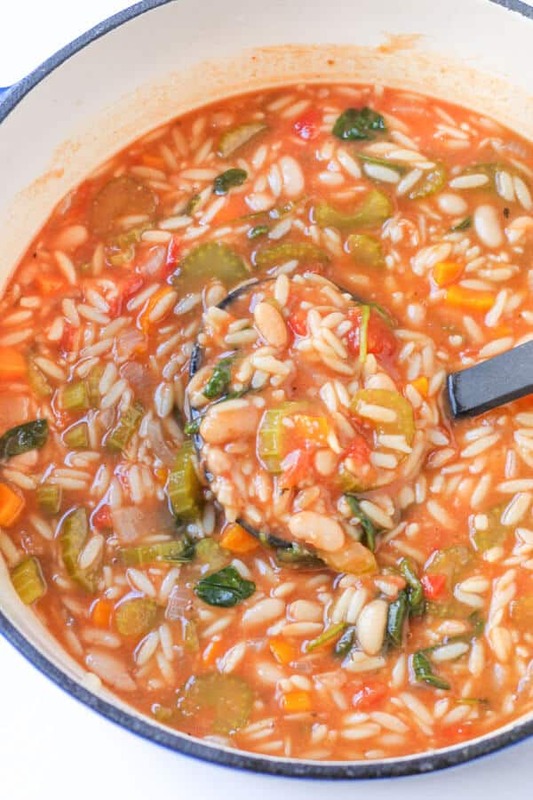 This Italian Vegetable Orzo soup is so simple, healthy and hearty. Featuring spinach and cannellini beans, it comes together in just over 30 minutes and does not skimp on the flavour! 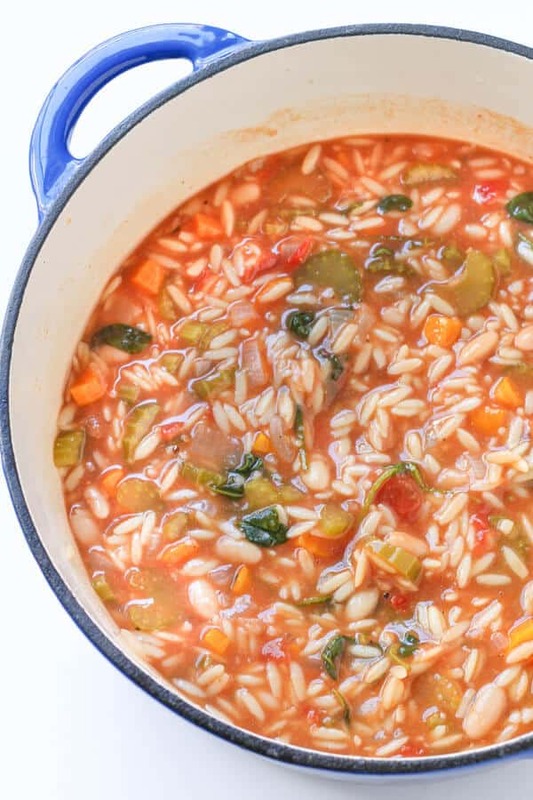 This Italian Vegetable Orzo Soup was one of the very first recipes that I put up on the blog. Naturally that meant it had some of the most hideous photos accompanying it, and has lived in the recesses of the blogs archives ever since – untouched, unloved and scantly visited. This is quite a sad state of affairs, particularly considering this soup is really very tasty. There’s something about mixing extra carbs into a soup that really gives it extra appeal. 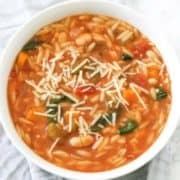 Give me a soup infused with pasta or rice over a boring vegetable soup any day. Photographing this soup has been the bane of my existence (slight exaggeration). I believe there is a rule that the most delicious foods are quite unattractive to shoot. Soups are notoriously difficult to shoot in an appetising way, and this soup was no exception. I spent many hours trying to find it’s best angle, moving it from pot to pot and bowl to bowl. In the end I threw my hands up and made the best of what I had. It’s without a doubt an improvement on the originals, but you won’t be seeing it on the cover of any prettiest soup magazines anytime soon. Olive Oil – OR you can use coconut oil or another favourite frying oil if you’d prefer. 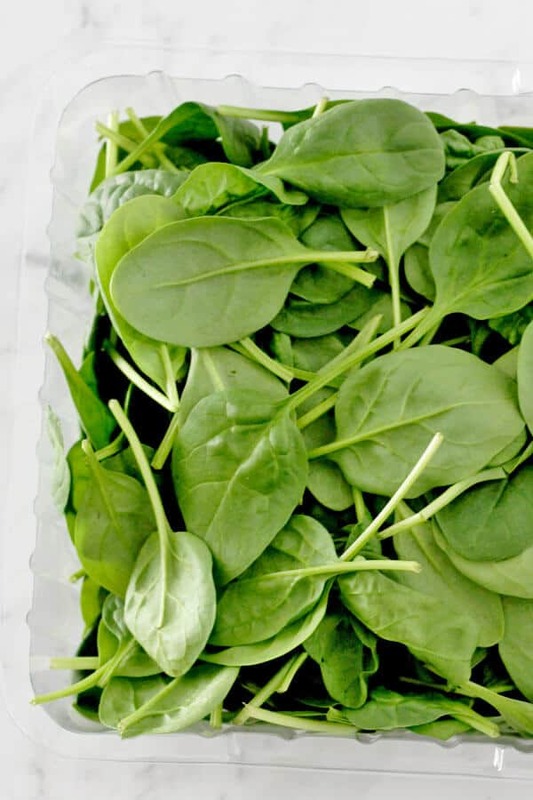 Spinach – Fresh or frozen. Cannellini Beans – OR you can use chickpeas or red kidney beans if you’d prefer. Italian Mixed Herbs – I have a pre-mix that includes marjoram, basil, capsicum, rosemary, oregano, parsley, & thyme but if you don’t have something similar on hand pop in 1 tsp thyme and 1 tsp oregano instead. 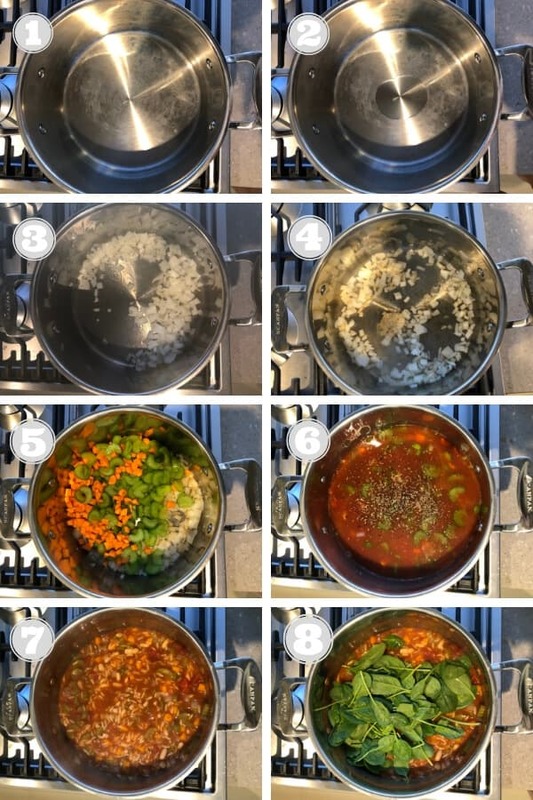 Heat oil in a heavy pot or dutch oven on medium-high heat (photos 1-2). Add onion and cook, stirring regularly, until slightly browned (approx. 2 mins). Add garlic and cook for a further 30 seconds (photos 3-4). 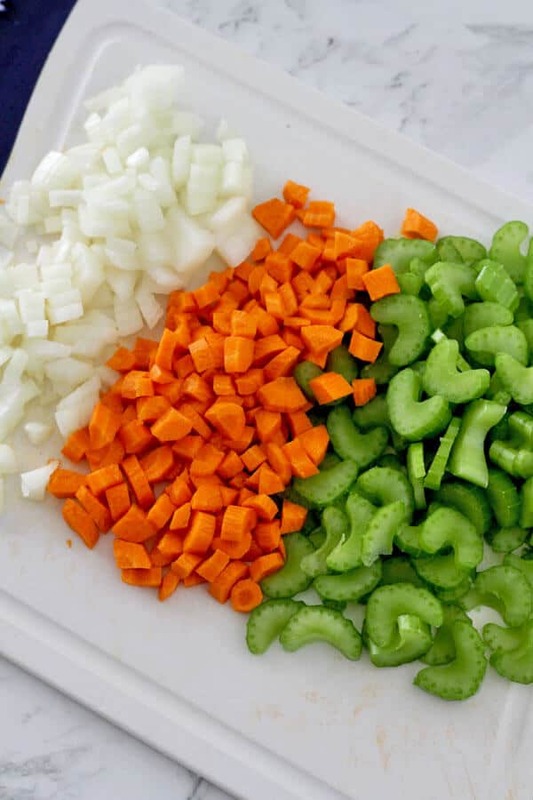 Add celery and carrot and cook, stirring regularly, for 3-5 minutes until slightly softened (photo 5). Add diced tomatoes, stock, orzo, beans, mixed herbs, salt and pepper and stir to combine. Cover, bring to boil then reduce heat to a simmer and cook for 15-20 minutes, until the orzo is completely cooked (photos 6-7). Add spinach, stir to combine and cook for a further 1-2 minutes until the spinach has slightly wilted (photo 8). Ladle into bowls and sprinkle some parmesan cheese on top (optional but definitely do it). QUICK TIP – You may need more stock depending on how thick you like your soup. The orzo really soaks up most of the liquid so you might pop a cup or two more in towards the end just to get it to your desired thickness. Keep the soup in an airtight container in the fridge for up to three days. As this soup contains pasta it doesn’t hold up so well in the freezer, so best to portion out leftovers for lunches over the week. 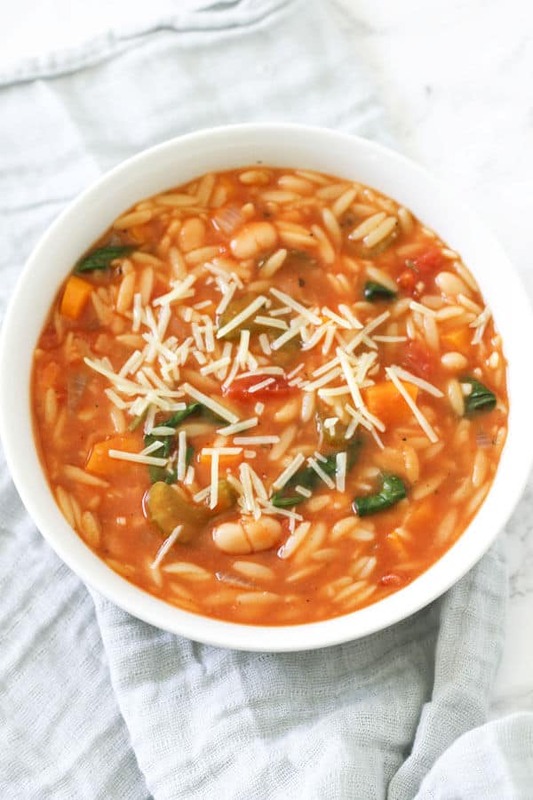 If you’ve tried this Italian Vegetable Orzo Soup I’d love to hear how you enjoyed it! Pop a comment and a star rating below! You can also FOLLOW ME on FACEBOOK, INSTAGRAM and PINTEREST. Heat oil in a heavy pot or dutch oven over medium heat. Add onion and cook, stirring regularly, until slightly browned (approx 2 mins). Add garlic and cook for a further 30 seconds, stirring regularly. Ladle into bowls and serve with a sprinkle of parmesan cheese on top. STOCK - you may need more stock depending on how thick you like your soup. The orzo really soaks up most of the liquid so you might pop a cup or two more in towards the end just to get it to your desired thickness. STORING - Keep the soup in an airtight container in the fridge for up to three days. As this soup contains pasta it doesn't hold up so well in the freezer, so best to portion out leftovers for lunches over the week. Last Updated: March 20, 2019 (New photos, Small changes made to improve on the original recipe, plus tips and tricks added).